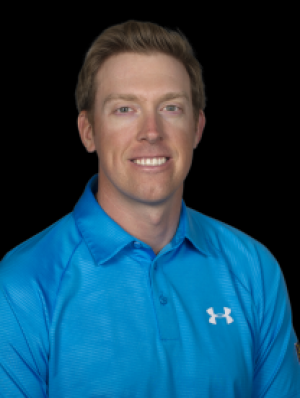 Hunter Myles Mahan was born on 17 May 1982, in Orange County, California USA, and is a professional golfer, best known through playing on the PGA Tour. He’s known to have won the 2012 WGC-Accenture Match Play Championship and 2010 WGC-Bridgestone Invitational, but all of his efforts have helped put his net worth to where it is today. How rich is Hunter Mahan? As of early-2017, sources estimate a net worth that is at $30 million, mostly earned through success in professional golf. He’s won two World Golf Championship events and has participated in numerous tournaments around the world. He also has numerous sponsorships, and as he continues his career it is expected that his wealth will increase. Hunter started his amateur career strongly when he won the 1999 5A Texas State High School Golf Championship, representing McKinney High School, and won the 1999 US Junior Amateur Championship as well. After matriculating, he attended the University of Southern California and played for a year there before moving to Oklahoma State University. He earned numerous honors including becoming a Big 12 Conference Player of the Year twice. In 2003, he won the Haskins Award, and was co-winner of the Ben Hogan Award for the best US College Player. Around the same time, Hunter transitioned into a professional career, and earned a PGA Tour card for the 2004 season. After playing a few years, he got his first PGA Tour victory in the 2007 Travelers Championship, which helped him get into the top 100 of the Official World Golf Rankings. His net worth was starting to increase significantly at this point. In a short span of time, he broke into the top 50, and would become one of the two captain’s picks for the US Team in the President’s Cup. In 2008, he reached the top 30, and two years later won his second PGA Tour event at the Waste Management Phoenix Open. He continued this streak with another win in the same year at the WGC-Bridgestone Invitational. In 2012, Mahan would win his second WGC tournament at the WGC-Accenture Match Play Championship, and would then rise to fourth overall in the rankings after winning at the Shell Houston Open – actually becoming the highest ranked American for the first time in his career – and would reach the final of the 2013 WGC-Accenture Match Play Championship. In 2014, Hunter would then win The Barclays FedEx Cup play-off event which would lead to his first ever play-off win on the PGA Tour. The same year he was selected for the US Ryder Cup team. Additionally, some of Mahan’s sponsors include RBC Golf Pigeon, Ace Hardware, Titleist, Ping, Under Armour, NetJets, FootJoy, and many more, all adding to his net worth. For his personal life, it is known that Hunter has been married to Dallas Cowboys Cheerleader and dancer Kandi Harris since 2011. In 2013, he had to drop out from the RBC Canadian Open because his wife was going into labor, and the next day a daughter was born. Aside from this, he is part of the PGA Tour boy band called the Golf Boys; they have a YouTube video that has been used for charity.